Sipsquatch Wants You! Work Day in Wilderness! 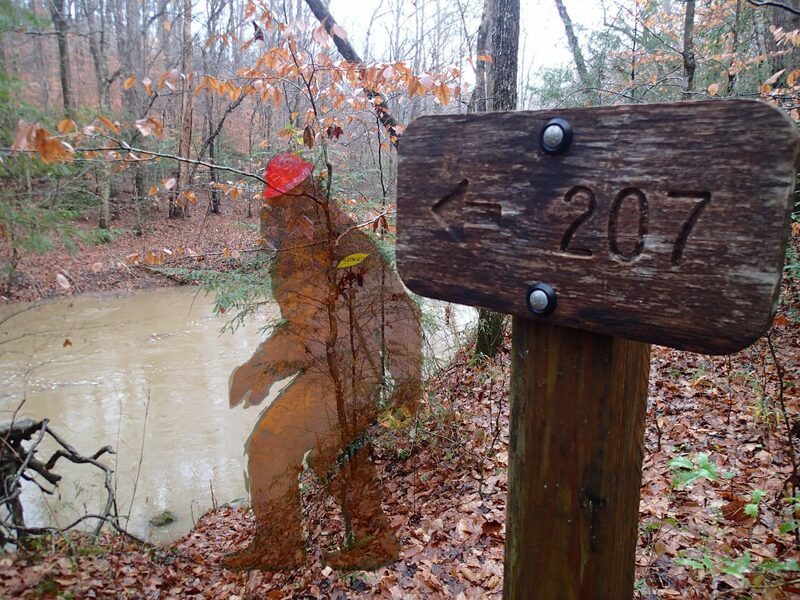 Sipsquatch wants YOU for a work day in the Sipsey Wilderness!! We will walk trail to trim out encroaching vegetation, clear blockages caused by blow-downs, and eliminate tall stobs (cut-off saplings) left along the trail by vandals. Distance will be approximately 4 miles out and back from the Borden Creek Trailhead. This will be a physically demanding workday as we must hike 4 miles carrying all tools while performing trail maintenance as we go. Expect bending, stooping and lifting. After departing the Wild South office in downtown Moulton, we will drive to the Borden Creek trailhead which is where we will begin our hike down Trail 207. Expect a creek crossing that we will cross over again coming back. If it’s more convenient to meet the crew at the trailhead at 9:00 a.m. instead of at the office in Moulton, please let us know. All tools will be provided, but feel free to bring your own loppers, pruners, hand saws and hard hat if you want. Ticks: The most effective protection against tick-borne diseases is the type of permethrin product that is sprayed on clothing. Permanone (by Repel) and Sawyers are a couple of brands. Spray on clothing (not skin) at least 4 hours before wearing (that) clothing. It has no scent whatsoever and it works. Sign up for this work day by emailing Kim Waites kim@wildsouth.org or call 256-974-6166 and leave a detailed message. Wild South’s Helping Hands Volunteer Program is made possible by the support of our generous donors and by a grant from the Community Fund of the Walker Area Community Foundation.